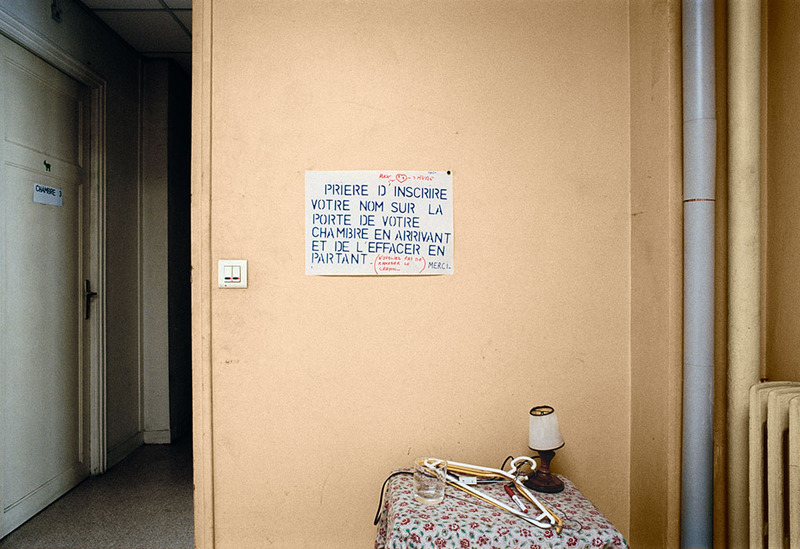 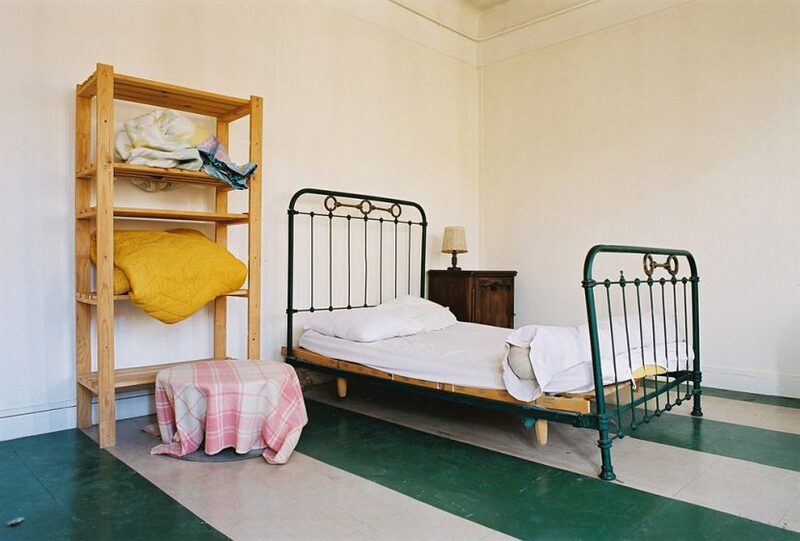 This series of 23 colour photographs was made in November 2004 during a two month stay at the Ecole des Beaux-Arts in Mans, France. 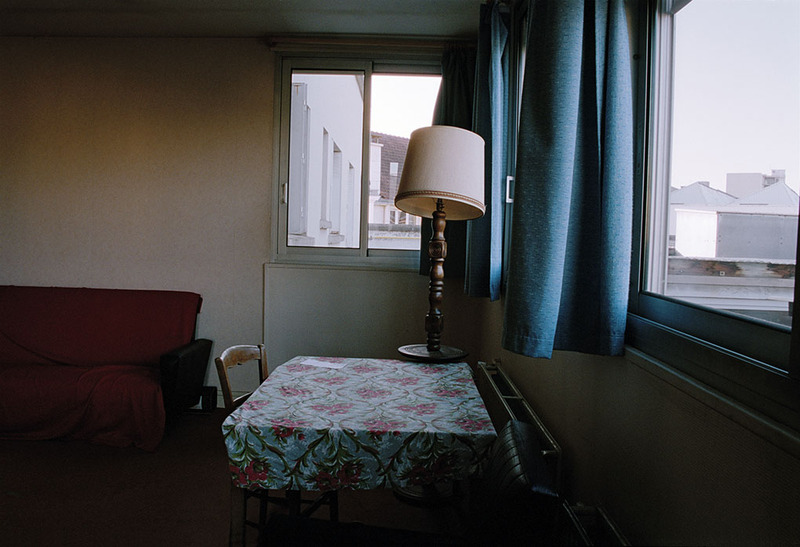 I lived there in an old Renault foundary which had been in the hands of the Théâtre du Radeau for the previous twenty years. 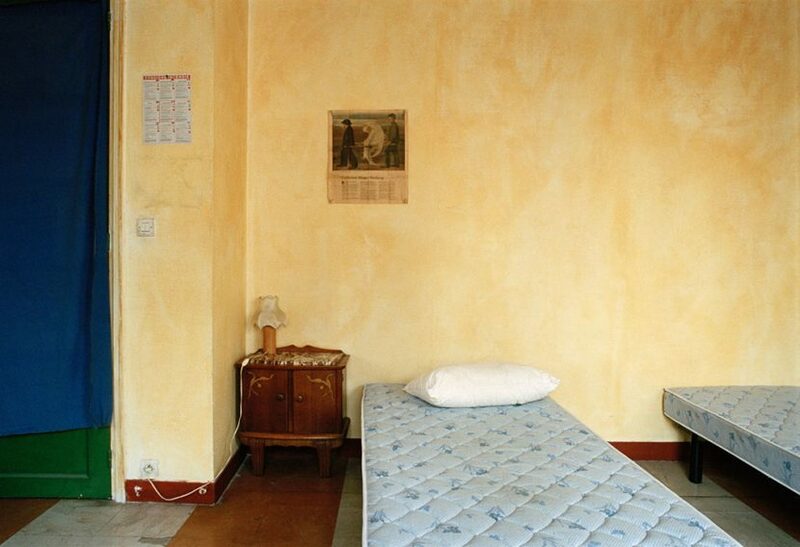 I occupied one of the 15 furnished rooms available for invited acting companies, guests of various kinds and artists. 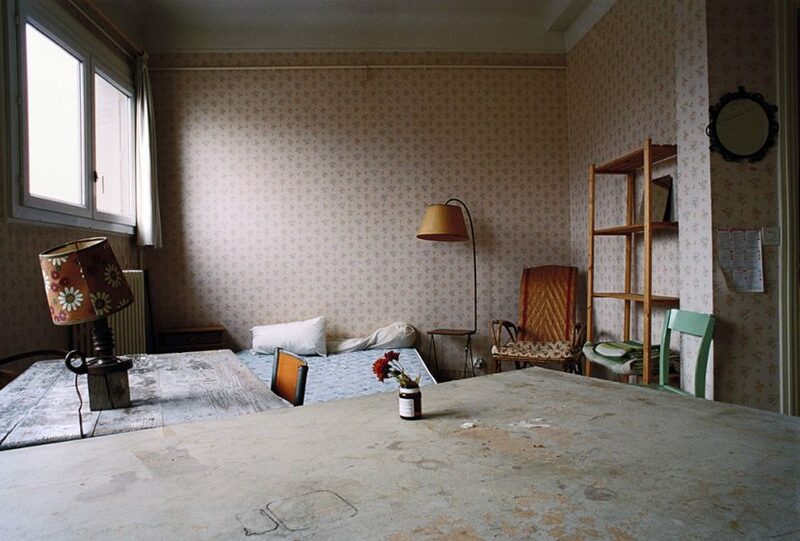 During my stay most of the rooms were unoccupied. 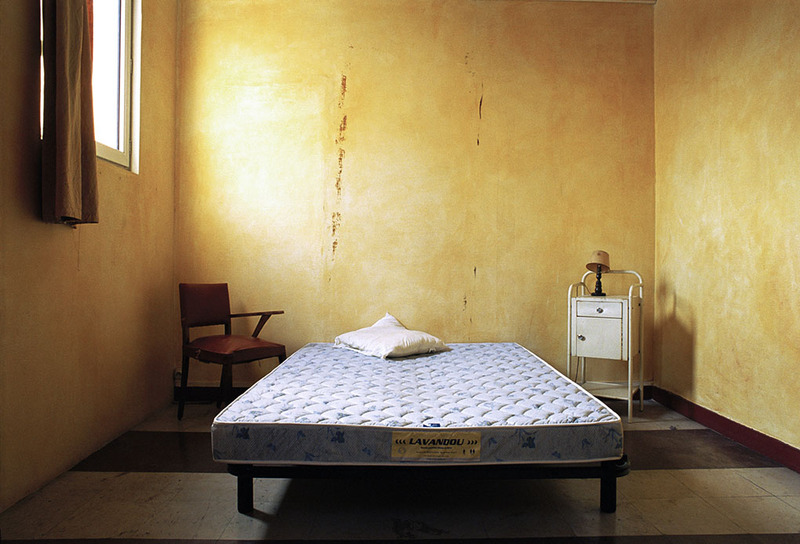 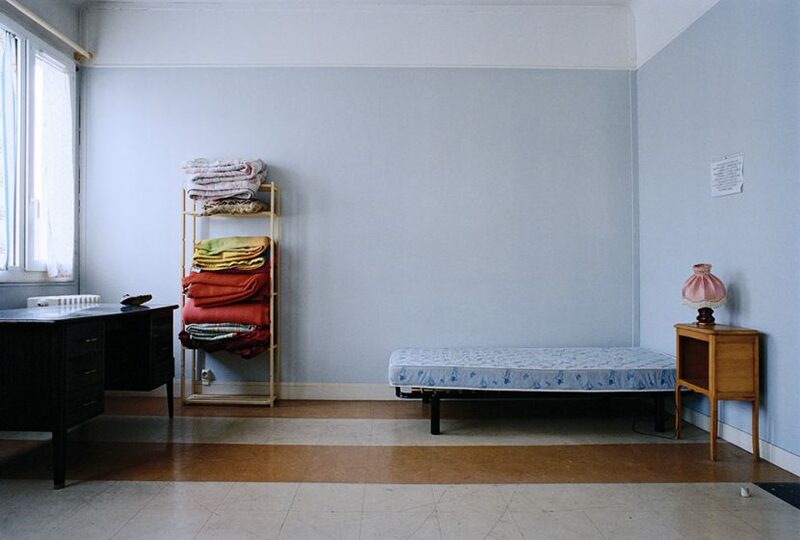 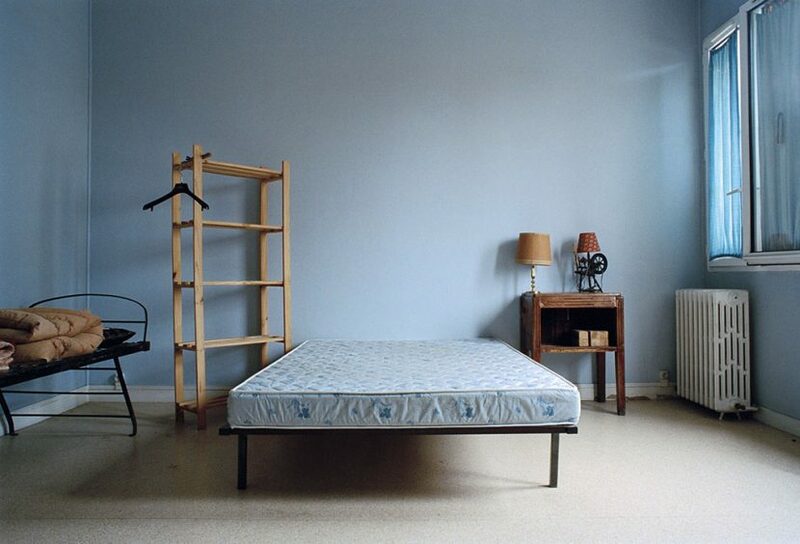 I was fascinated by these empty, quasi abandoned rooms that were so sparely furnished with the old utilitarian objects of everyday life: an empty bed with a sheet or bedcover thrown over the mattress, a table, a few shelf units, one or two lamps. 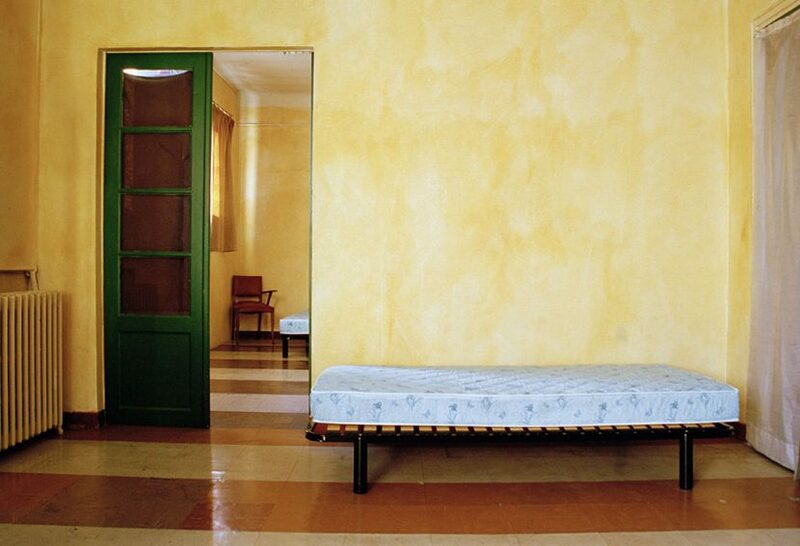 On one hand these rooms had a personal character − each room was furnished according to a particular taste and special style and thus conveyed a certain atmosphere − but they nevertheless gave the impression of being impersonal. A sign requested visitors to keep the room clean and in order, elsewhere there was a note: «When you arrive please write your name on the door and remove it when you leave» − also an indication of the temporary nature of stays here. 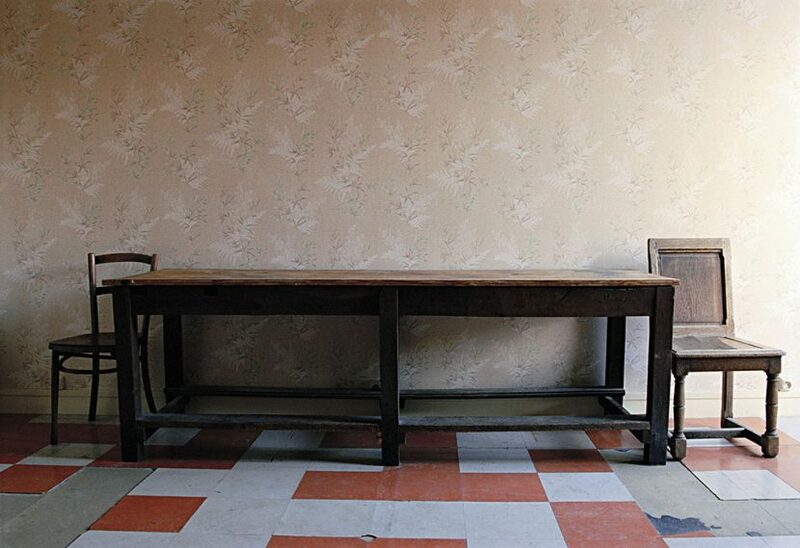 I tried to capture the few remaining traces of presence in these unique objects that revealed something lived and which could be felt (presently unoccupied, but evidence of past occupation). 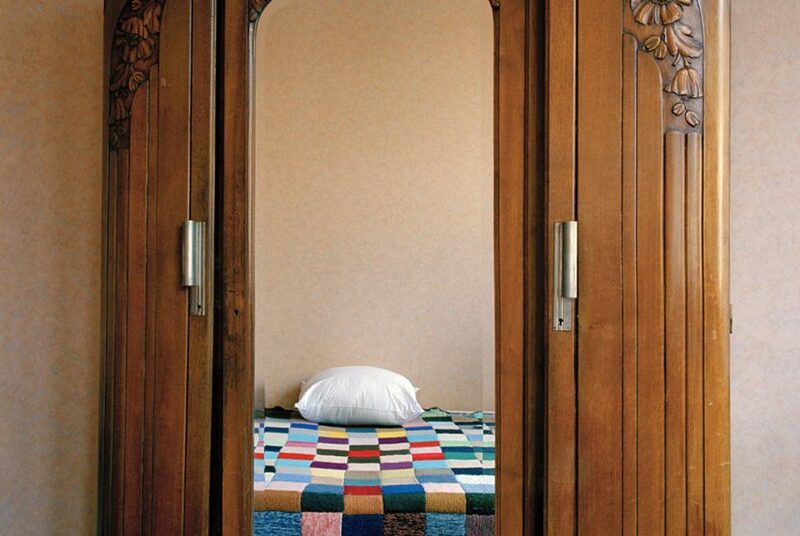 Each time I entered one of these rooms I had the feeling of intruding on someone’s intimate sphere. 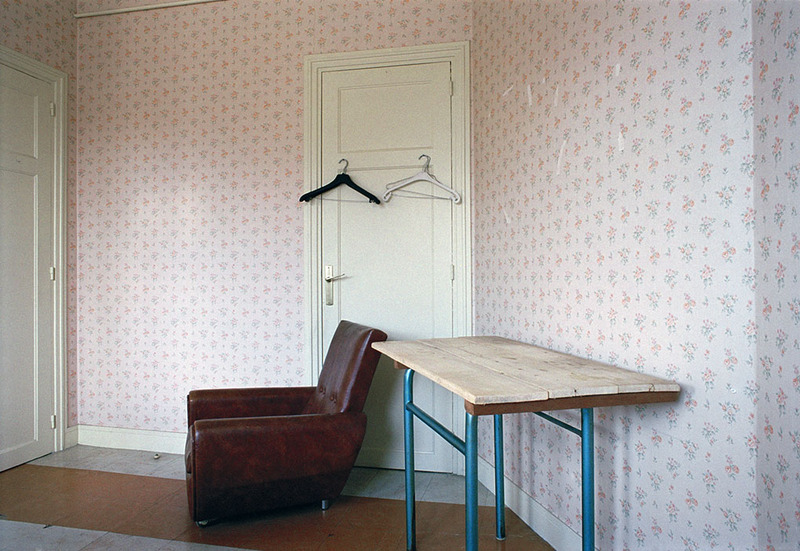 This was accompanied by excitement as well as making me feel apprehensive about the «occupant» surprising me. 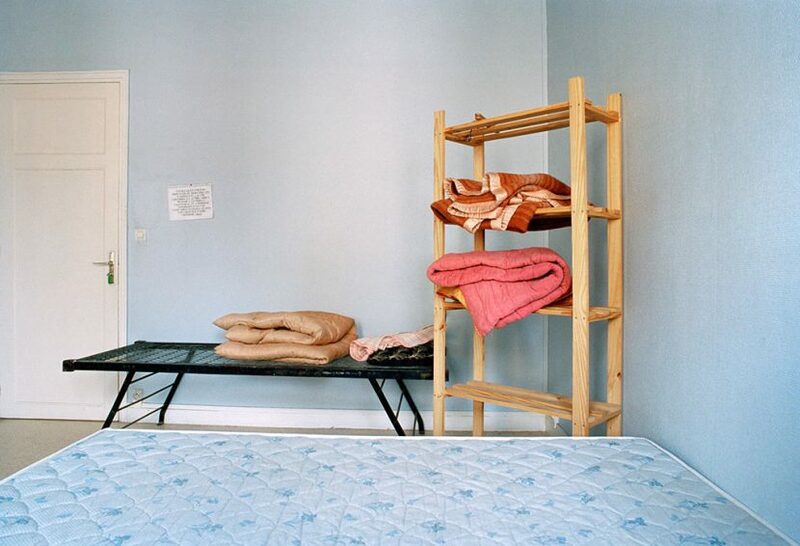 The series consists of a group of works that document various spaces of transition and transit − places where the borders between intimate and public become blurred. 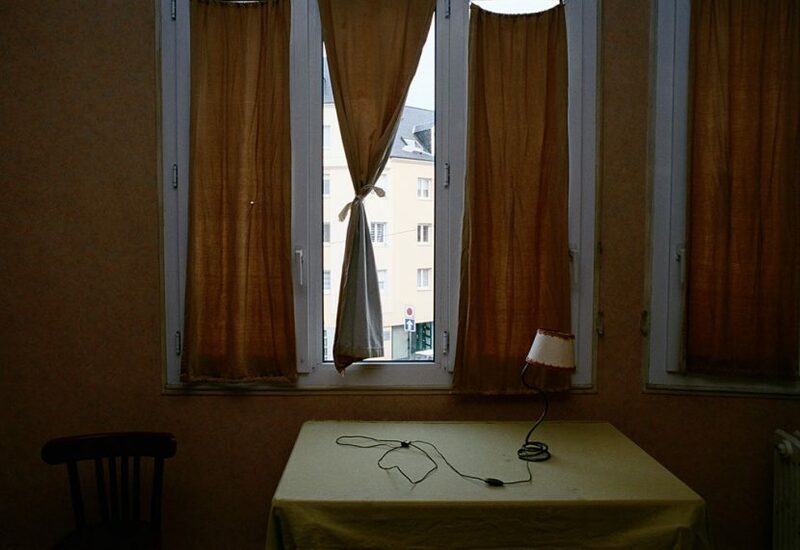 That applies to the series,Pères, (2006) as well as the videos, Départ, (2003) andTransit, (2004). Here too − as with the majority of my work − the concern is with making visible the spaces in which appearance and disappearance, presence and absence blend together. 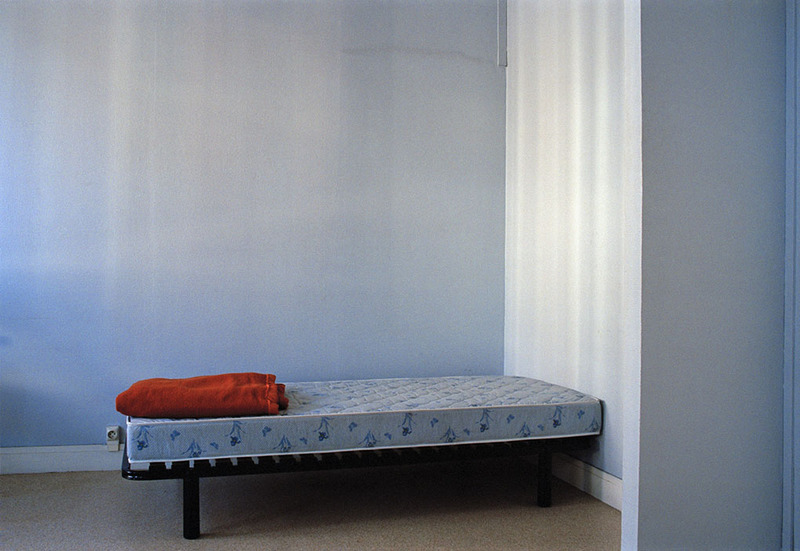 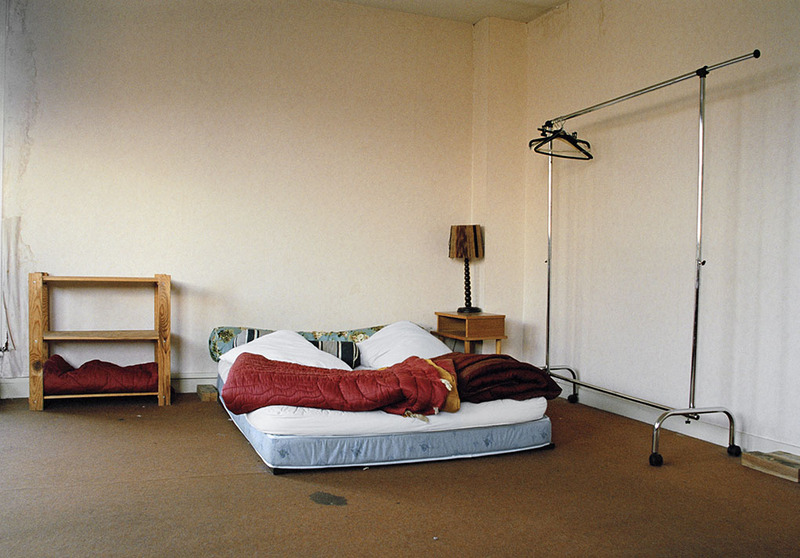 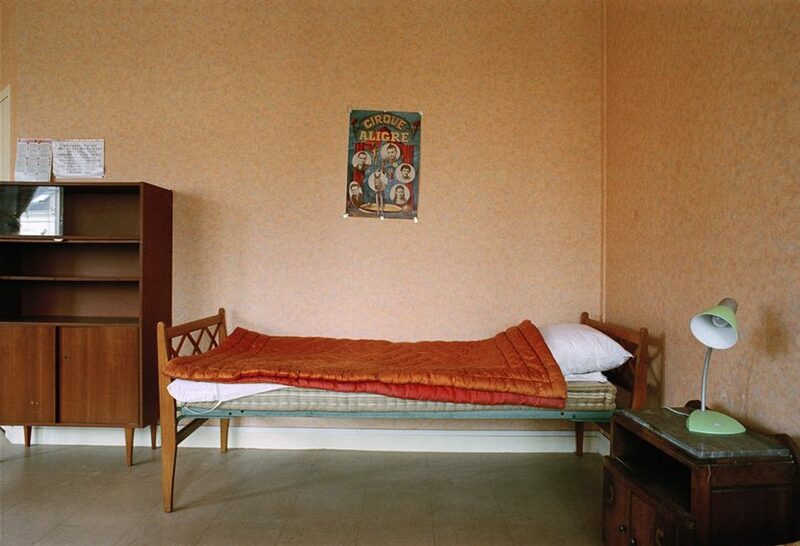 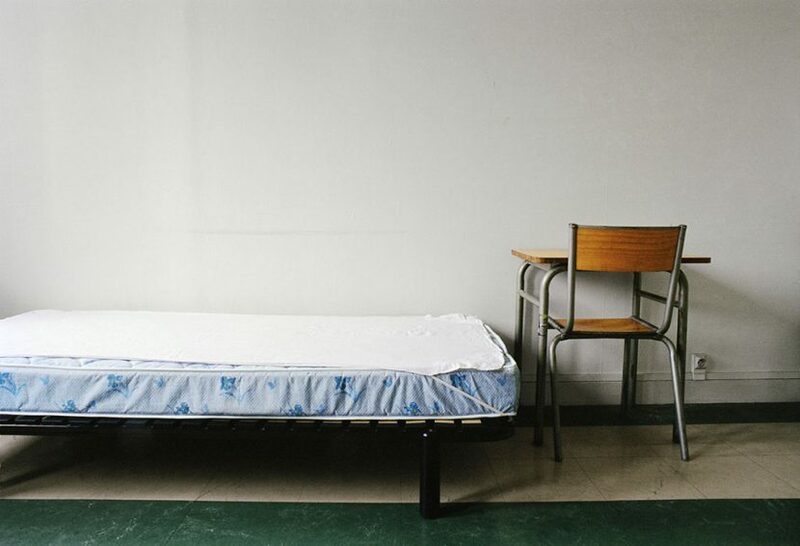 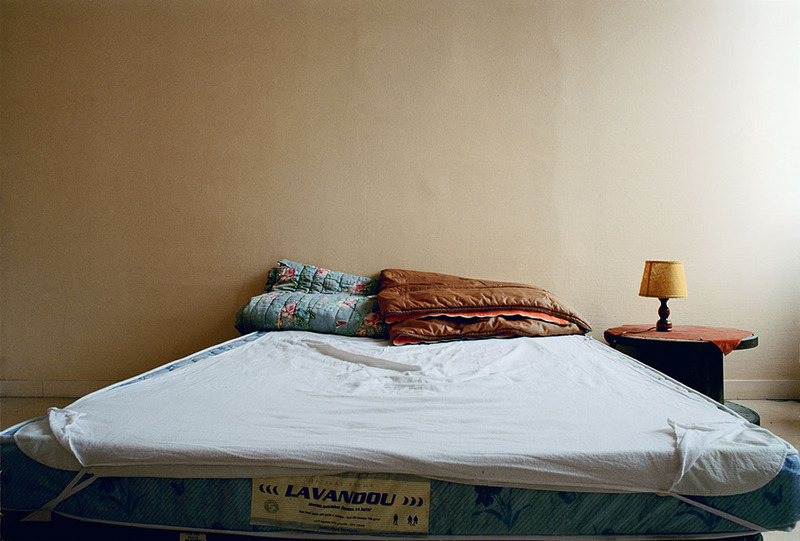 Chambres, 2005, serie of 23 photographs, digital print on paper, mounted aluminum, 42 x 28,8 cm.